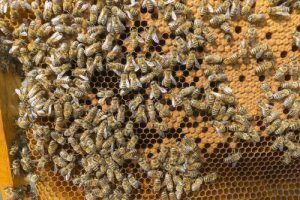 Having an active bee population is crucial for the good health of plants and animals throughout the Orlando area, and even though they are typically harmless as they buzz around pollinating plants and flowers, having too many on your property can be an issue. Though bees don’t typically act aggressively on their own, they may sting and swarm if they feel their hive or queen is in danger. For that reason, it is important to have bees and bee hives professionally removed if you find them on your property. While a single bee sting is normally only painful and irritating for a few days, it can be life-threatening to someone who is allergic. Even for somebody who has no bee allergy, a swarm can result in hundreds of stings, which can be dangerous if not treated right away as bee stings become poisonous in large quantities. Look for bees to build their hives in areas with low human traffic like up in trees, on porches, underneath gutters, and even in crawlspaces underneath houses. These characteristics are good reasons to call the professionals at Critter Control® of Orlando when bee problems arise. Because of the risk of stings, and the importance of bee populations to our ecosystem, bees should always be removed and relocated by a professional. The technicians at Critter Control® of Orlando will relocate bee populations from your property to an area where they will thrive in peace. For any questions about our bee removal services, or to schedule a consultation, call us today at 407.295.7194.